What does a MemoryWise Business Opportunity Cost? 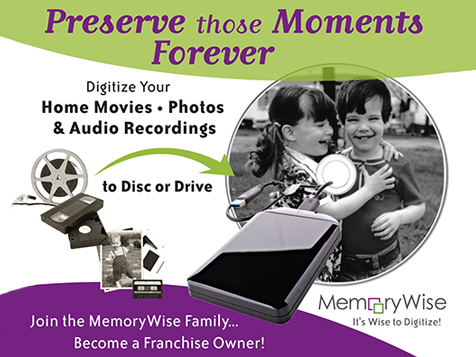 Join the MemoryWise Family and Become A Franchise Owner! MemoryWise is dedicated to making memories lasting and convenient to enjoy—it’s the company people trust to digitize their boxes of memories. 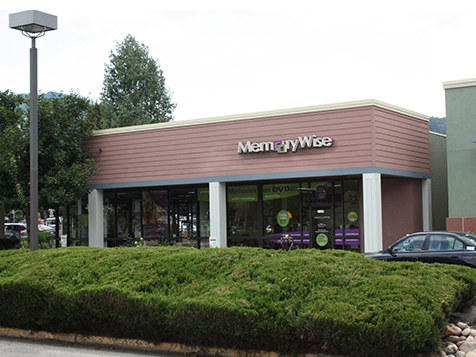 MemoryWise was founded in 2003 as an alternative to faceless mail-away and drop-box services. The concept was an immediate hit. Open a location in your area today where people can bring their memories, talk to a friendly, knowledgeable person about their project, and have it put together exactly the way they envision. 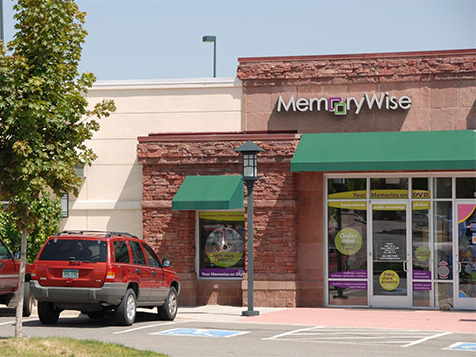 Open MemoryWise in any of these available states: AZ, CO, ID, IA, KS, MO, NE, NV, NM, OK, TX, UT. Take this opportunity to work for yourself and independently make a living, while doing something meaningful. If you choose to join MemoryWise, we think you’ll come to realize that this business is special; it’s unique and highly sought-after. The personal interactions with clients as they share their stories and memories make work fun and interesting, and at the end of the day you have the satisfaction that you helped each person with a project that was immeasurably important to them. A Giant Market... And Growing! The market for digitization of old format media is estimated at $135 billion. Almost every U.S. household still has old family memories tucked away in closets, under beds, up in the attic or in boxes in the basement. The memories are in outdated formats and aren’t easy to view or are degrading due to age or storage conditions. During their heyday, film cameras shooting analog photos were in 90% of U.S. households and video camcorders were in 62% of U.S. households. From 1923 to 2009, over 100 million U.S. households purchased an estimated 2 billion video tapes sold for home recording, printed an estimated 380 billion amateur film photo exposures, and shot an estimated 52 billion feet of movie film. Only a fraction of old format media has been digitized and the market for digitization services is growing exponentially. One recent survey indicated that over 90 million U.S. households still had over 2 billion videos and photo albums in non-digital formats. Our estimate is that less than 5% of old format video has been digitized, and similar amounts of media remain in the other old formats as well. The video transfer market - which we estimate totals $29 billion of the $135 billion opportunity - emerged as a $130 million industry in 2012 and is expected to grow to over $1 billion by 2021. Add the emerging market for services around new digital memories and the opportunity is even more exciting! Each month, we see more and more jobs involving digital photos and videos from smartphones and other digital devices. With digital cameras in 64% of U.S. households and smartphones in 72% of households, almost every family has thousands of new, digital family memories. Even though they are already digital, these new media memories can be overwhelming to store, organize, and convert into more useful formats. That’s another way MemoryWise can help. We believe that a MemoryWise store in every city is the key that will unlock the market for digitization services, to the benefit of all involved. We’ve seen the need for our stores first hand for 13 years in the Denver area, and believe our model can work in cities everywhere. Our convenient retail locations, our onsite, custom services and our friendly, personal approach will inspire and motivate millions of households to get their memories out of boxes and off mobile devices. Estimates created using historic household penetration and media purchasing data compiled from various sources including: Eastman Kodak Co., Merrill Lynch, Michael E. Porter (Cases in Competitive Strategy), U.S. Department of Commerce, PMA Marketing Research, PMA Camera/Camcorder, Digital Imaging Surveys, Jim Lindner (Media Matters 1/95), Washington Post 6/30/02, and the Wolfman Report on the Photographic and Imaging Industry. Legacy Republic, Frost and Sullivan. 2013 Montgomery Technology Conference 2/28/13; Legacy Republic, Frost and Sullivan. World Almanac and Book of Facts 2016, Consumer Electronics Association data. If you succeed, we succeed. With that at heart, our goal is to support you every step of the way as you work to open and grow a thriving MemoryWise store. Getting Started: We will give you all of the tools you need to locate, lease, develop, outfit and open your MemoryWise store. Our Store Opening team is there to help throughout the process, and will be onsite by your side as you open your doors. Training: Our training program is designed to teach you the skills and help you build the expertise to run a successful retail digitization services business. The founders, Gwen & Eric, have operated Memories to Digital in Colorado for 13 years, and their experience is the foundation of our training and support programs. Training is a combination of classroom instruction, online home study, a 3 week on-the-job work experience in a MemoryWise store, and a final phase of training onsite at your franchise location the week before and week of your opening. Operations Manual: Our confidential online manual is your roadmap to successfully running every facet of your MemoryWise business. Complete with detailed instructions and operating procedures, and even numerous helpful videos, all of the material is continually updated to ensure you have the best information at your fingertips at all times. Tech Support: We work in a technical business that is evolving day-by-day. Led by our engineer CTO Eric, our expert Technology team works behind the scenes to keep MemoryWise on the cutting edge of the digital world. They’ll support your in-store tech experts by keeping the manual up-to-date with the most current information and procedures. We also welcome new tips and tricks discovered by our talented franchisee teams, and we’ll distribute those great ideas throughout the network. Business Management Support: Know how to burn a DVD but not sure what a P&L is? Don’t worry. Our CEO, Gwen, has an MM from Kellogg and has worked in business management for 20 years. Just as we’ll train you on all of our digital services, we’ll also teach you the fundamentals of running a business and give you the tools to make it easy. Marketing: You’ll start your business equipped with everything you’ll need to generate leads and drive sales. Our talented Marketing team will share their marketing know-how, provide you with marketing plans, and help with the planning and execution of your Grand Opening advertising to get you off to the best start possible. As you are doing local advertising, our Marketing team’s advice and guidance is always only a phone call or email away. Ongoing Support: Our dedicated Ongoing Support team is available to provide advice and guidance as you operate your business. Does this description sound like you? If any part of the MemoryWise opportunity appeals to you, fill out an inquiry form and learn more about the opportunity today. 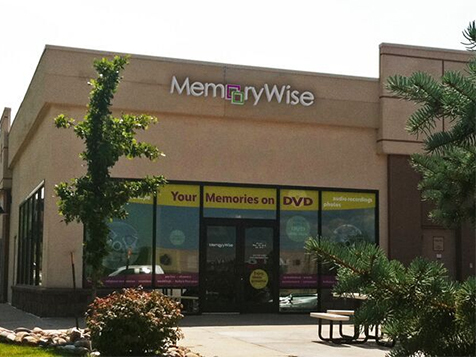 Special Discount: In support of those who have served, MemoryWise offers a 10% veterans discount.